Magic Mirror on the wall, who has the easiest pumpkin idea of all? This no-carve pumpkin is spooky and easy for little hands to make, go ahead…take a bite! 1. 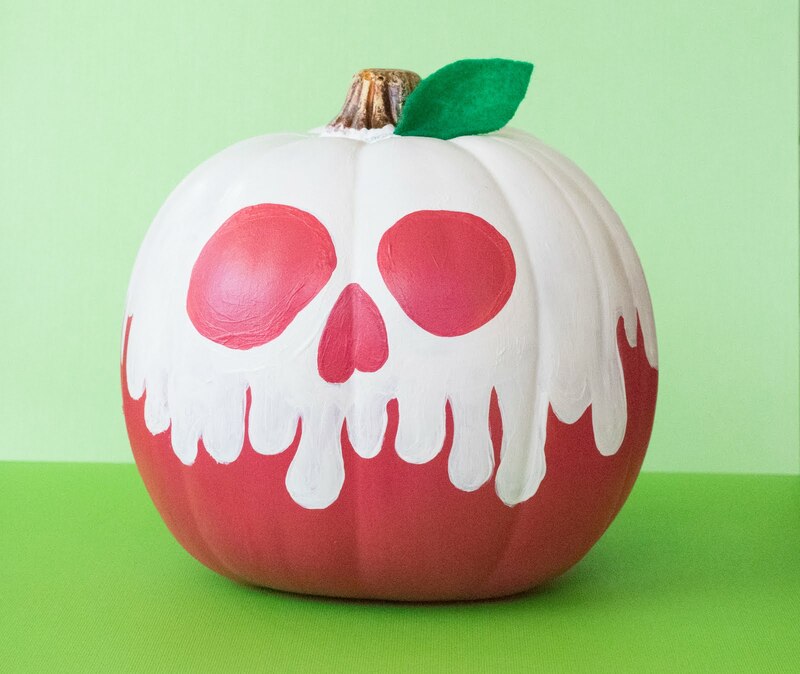 Paint the base of your pumpkin red, coat twice for consistency. 2. Once paint is dry use the sharpie to draw the poison apple face shape. It’s essentially two droopy circles for eyes and a runny triangle/ upside down heart as a nose, you can get creative with this and use a quick google search as a reference. 3. 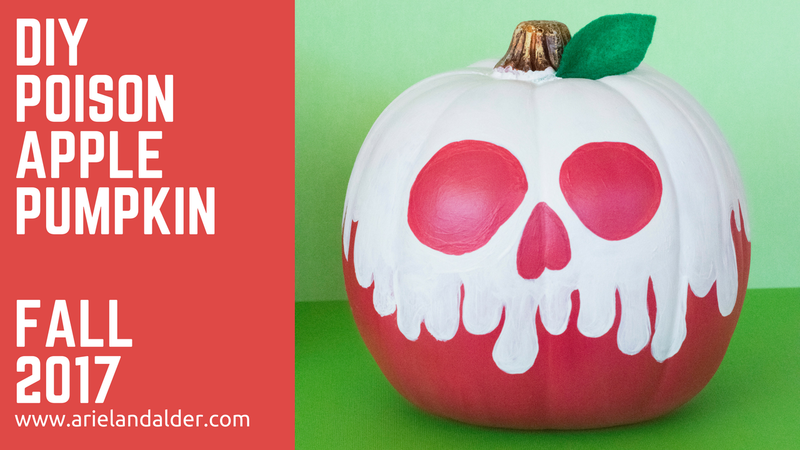 Paint the top of your pumpkin white and start to form “drips” around the pumpkin and the eyes, coat twice for consistency. Let dry completely. 4. Cut out felt leaf for the top, use hot glue to attach. Separator image Posted in Disney, DIY and tagged with featured.